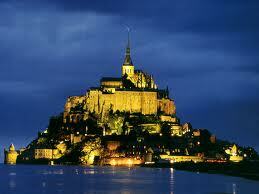 !Well Within's Earth Mysteries & Sacred Site Tours to Mysterious France! Journey with us to Mysterious France - Chartres Cathedral, Mont St-Michel & Brittany with ancient sites, stone circles and alignments, Gothic Cathedrals, and sites of great mystery! 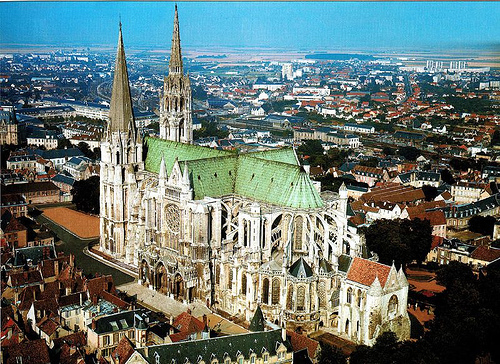 Chartres Cathedral - on a Druidic & Pagan Site - incredible high energy site filled with mystery - partly built starting in 1145, and then reconstructed over a 26-year period after the fire of 1194, Chartres Cathedral marks the high point of French Gothic art. The vast nave, the porches adorned with fine sculptures from the middle of the 12th century, and the magnificent 12th- and 13th-century stained-glass windows, all in remarkable condition, combine to make it a masterpiece. Gavrinis Tumulus (earth mound) on island in Gulf of Morbihan - best carvings in the Carnac/Locmariaquer area. 23 of the 29 upright passage and chamber stones are carved, as well as the chamber capstone. Most of the stones are decorated with swirls (look like fingerprints) and most have been smoothed before carved.